The beta for Clicker Heroes II is on the way, and it’s on the way soon. Playsaurus has confirmed a July 16 release date for the early version of the game, so you’ll be able to get your hands on it in a little over a month. Dig into all the best free games on Steam. In addition to beta access, pre-orders guarantee you a downloadable executable for the game, all future updates, an optional Steam key, a bonus character skin, and $20 worth of rubies for the original Clicker Heroes. 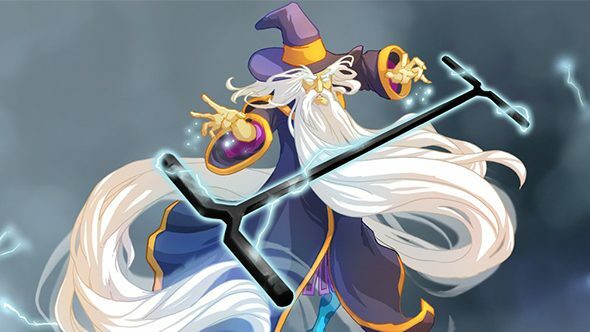 Like the previous game, Clicker Heroes II has you arming an RPG hero with gear and talents to defeat a series of monsters that get exponentially more powerful over time. Mostly, that means a lot of clicking – on enemies or on upgrades – and enjoying the always-satisfying process of watching the numbers go up. Of course, the biggest change for the sequel is that it’s no longer free-to-play. Clicker Heroes II won’t have microtransactions for in-game currency or other game-affecting content, citing “ethical reasons” for the change in business model. The door’s still open for cosmetics – like the pre-order bonus skin above – but there won’t be anything more than that. Clicker Heroes II is set to launch in full sometime in 2018.